A Better Wrist: Why Do Watchmakers Put So Much Text on Their Watch Faces? Why Do Watchmakers Put So Much Text on Their Watch Faces? 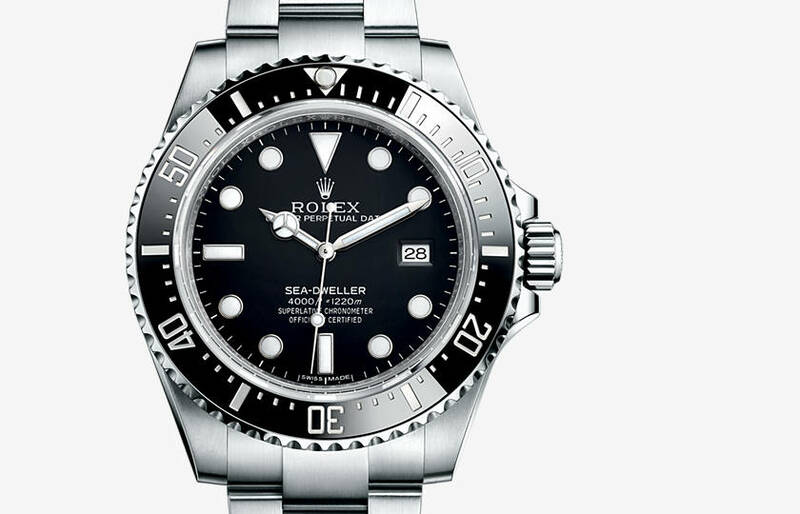 There are fourteen words on the face of the Rolex Sea-Dweller. Fourteen words doesn’t seem like many, but consider how small a watch face is. That’s a lot of words squished into a small space. Rolex may be the most verbose watchmaker, but other watch brands put all sorts of information on their watch faces. A combination Rolex Sea-Dweller and Novela. Deep Blue’s tritium Daynight Scuba watch says "Precision Diver." Smiths Watches of England have “Great Britain” imprinted on the face, which is kind of cute, given that every other watch company strives to meet the criteria to put "Swiss Made" on their watch. Baume & Mercier writes "Chronograph Flyback" on their watches that have one. Fortunately, Baume & Mercier does not include a printed explanation of how a flyback works. Many watch manufacturers add the word "Automatic" to their watch faces, perhaps to remind you that you should wear your watch every now and then to wind it. Omega likes to put "Professional" on many of its watches, though chances are few of the people who buy Omega watches are professional divers or astronauts. Patek Philippe adds "Geneva" in addition to "Swiss Made." Alrighty. Does all of this writing detract from the a watch’s design, its beauty? Can you imagine Leonardo da Vinci adding, "Exceptional Physique" to his sculpture, David, or seeing the words "Exceptional Eastern Sky" on Vincent van Gogh's "Starry Night"? What if Pablo Picasso's "Guernica" said in a suitably appropriate font drawn by the artist, "Completed in 1937" and "About Spain" on it? Adding text to art is unimaginable, but for some reason a lot of print crammed into a small space works well on watches. A watch is one of the smallest writing spaces invented, yet watch companies succeed at adding black and white to their watch faces. 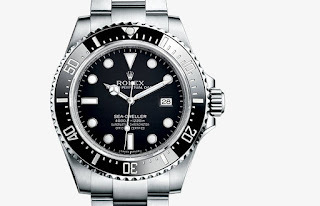 Who can argue with Rolex’s success? A handful of watch companies make watches that are completely unbranded. The Maratac Pilot is one of those. A watch without any lettering on its face is as cool as it is rare, but it also looks out of place. We’re used to seeing a lot of prose on watches. I’m not sure why we actually expect to see writing on a watch, even though the only information that a watch is supposed to give us relates to time. Perhaps we’re just accustomed to it, like we’re accustomed to seeing washing instruction labels on all our clothes. Perhaps numbers are words that are supposed to be together, a sublime story, and inseparable. Whatever the reason, watchmakers will continue to put part of their story on their watch faces. I've gotten used to seeing so many lines on most Rolexes, but I think that some watch companies overdo it when it comes to putting text on watch faces. I'd rather see the watch face than read about whether the watch is "Swiss Made" or a "Precision Diver." I'd like to see car makers try to put things like "0 to 60 in 5 seconds" or "Superb Handling" printed on the side of their cars.